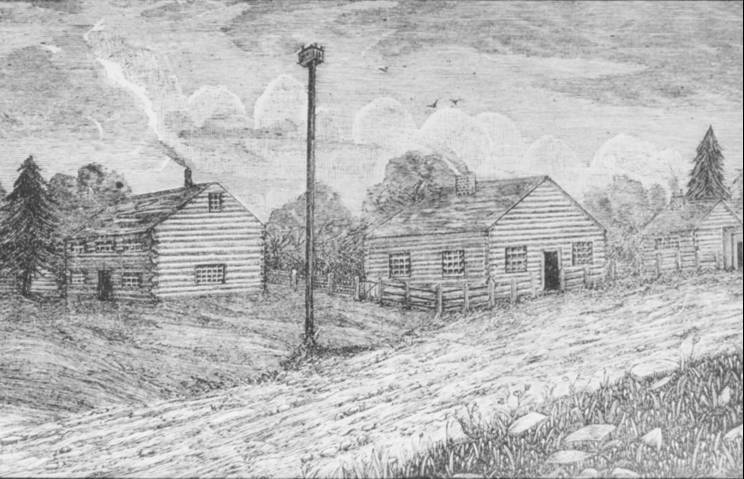 The Credit Mission, also known as the Credit Indian Village, was located on the site of what is today the Mississaugua Golf & Country Club on Mississauga Road. A government-built village was constructed in 1826 under the direction of Reverend Peter Jones (Kahkewaquonaby), a Chief of the Mississaugas, and Colonel James Givens, the Superintendent of Indian Affairs for the Government. The village was located on the high grounds overlooking the Credit River. In the flat valley lands were used for cultivating corn, wheat and rice. The village included some 25 cabins, a school and chapel, a store, blacksmith, and a large sawmill. With the relocation of the Mississaugas in 1846-47, some of the small cabins were used by early settlers. There is little visible evidence of the village today.